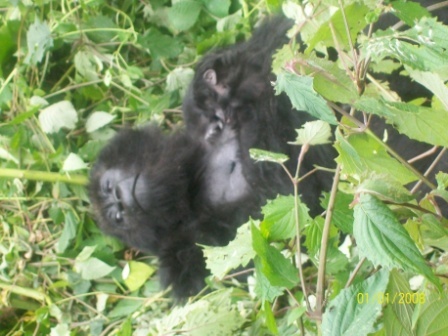 In Rwanda, went to see the famous Mountain Gorrillas. They are the closest specimens to humans. 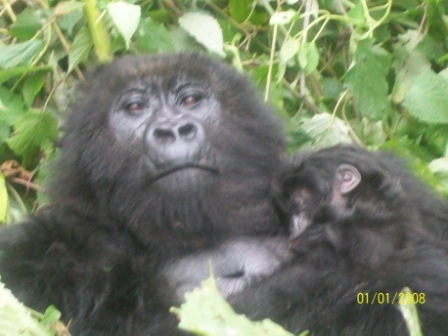 Of about 500 Gorrillas, 300 are in Rwanda. RWANDA The walk was really tough and people had to almost carry me after some time. It was quite embarrassing because even the very old could walk – but I was special hahahaha. Two pictures of a gorilla who has given birth to a child about 7 days ago. At this point I am about 19 feet away. A very rare sight.